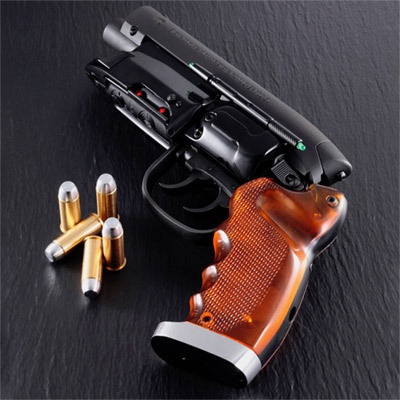 Deckard’s unnamed LAPD-issued blaster is one of the most iconic firearms in sci-fi cinema, an amalgam of a Steyr Mannlicher .222 Model SL and a Charter Arms Bulldog revolver, further fitted with LEDs and additional parts. Japanese prop manufacturer Tomenosuke is releasing the 2049 Movie Prop Edition of what they call the ‘PRO Blaster’, a movie-accurate replica of Deckard’s Blaster. A number of features have been improved when compared to earlier releases of the PRO Blaster, including more-accurate overall geometry, as well as the grip color being more in line with the screen variant. The 2049 Movie Prop PRO Blaser also comes complete with dummy cartridges. Ever wondered if you or someone else you know were a replicant? 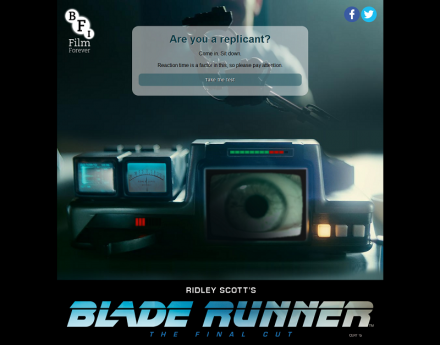 Well, the British Film Institute, in honor of re-screenings of Ridley Scott’s Blade Runner The Final Cut have produced their own version of the Voight-Kampff test used by the Blade Runners in the film to identify potential replicants. In case you were wondering, there’s an almost 40% chance I’m a replicant.